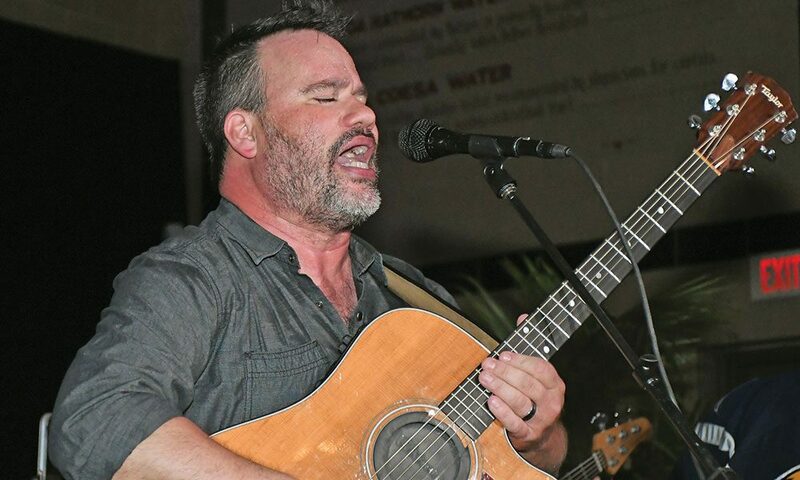 Dave Matthews tribute band performed to benefit Universal Preservation Hall, Saratoga Automobile Museum on October 14. 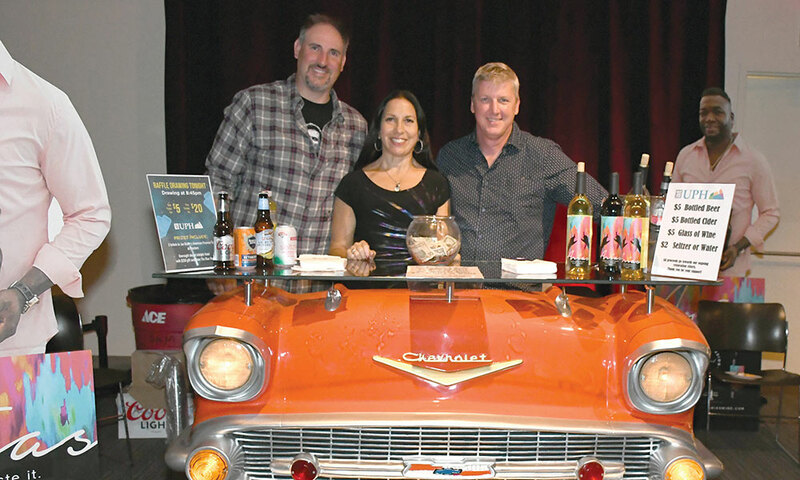 Amid an array of vintage “Wheels at Work” vehicles, the Dave Matthews tribute band Big Eyed Phish performed to benefit Universal Preservation Hall and the Saratoga Automobile Museum at the museum October 14. “This is a first for us, with the cars,” Big Eyed Phish lead vocalist Brandon DePaul told the growing crowd. “You can come closer to the stage if you want,” he said later, as the over 100 people in attendance warmed up to the band and unconventional venue. “We’re scary but we don’t bite,” violinist and harmonica player Mike Hoeschele added. Eventually, the crowd responded, moving closer and swaying to the boomp-bahs of the band’s jazzy rock sound. Others stayed in the back showroom, listening to the Dave Matthews classics, but continuing conversation over hors d’oeuvres and drinks from Mount Felix Winery. Others perused the vehicles on display in the “Wheels at Work” exhibit, which included a 1951 International Harvester van that sold Grasso’s Italian Ice, and a Port Authority K-9 Police Jeep smashed by falling debris in September 11. The concert, organized by UPH and hosted by SAM, raised funds for UPH’s renovations, as the former church is being transformed into a year-round performing arts and community events venue, and for SAM’s education, distracted driving and exhibition programs. UPH Campaign Director Teddy Foster said the benefit concert reached the organizations’ fundraising goal, and was a success in every aspect. More importantly, Foster said, the event made more people aware of the SAM and UPH venues. She said that usually, at events like this, she knows a lot of the attendees. At the Big Eyed Phish concert, many were strangers to her. “For me, that’s a total win,” she said. Lighting and sound production by SAVI; a cash bar selling beer, wine and cider; raffles for a stay at the Adelphi hotel; and two tickets to see former Vice President Joe Biden speak at Proctors, rounded out the successful night. The first-time collaboration between UPH and SAM proved a success. A second collaboration between UPH and SAM took place Nov. 4: a dance party at SAM featuring Alta Havana. The Latin jazz band includes keyboardist Jorge Gomez, founder of the three-time Grammy-nominated Cuban music group Tiempo Libre (and husband of Saratoga Performing Arts Center President and CEO Elizabeth Sobol). UPH also teamed up with SPAC and Proctors in October to present The Sachal Ensemble, a Pakistani jazz group, and Song of Lahore, the 2015 film about them, in Saratoga and Schenectady.